Do Facts Merit a Taxonomy? 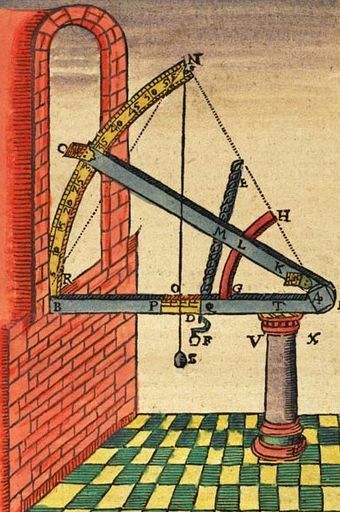 Tyco Brae’s instrument for measuring the angle between celestial objects. There’s been a fair amount of discussion lately about alternate facts. I don’t have anything to add to that conversation that hasn’t already been said, but it has gotten me thinking about another kind of fact – namely “scientific” ones. Truth be told, that phrase always sets my teeth on edge. Here’s why. Is there something about a scientific fact that makes it, unlike other facts, require an adjective? Does being a scientific fact make a fact more or less believable than some other kind? I suppose there are non-scientific facts. If I awaken in the morning with a headache, that surely is a fact for me, though not really a scientific one. 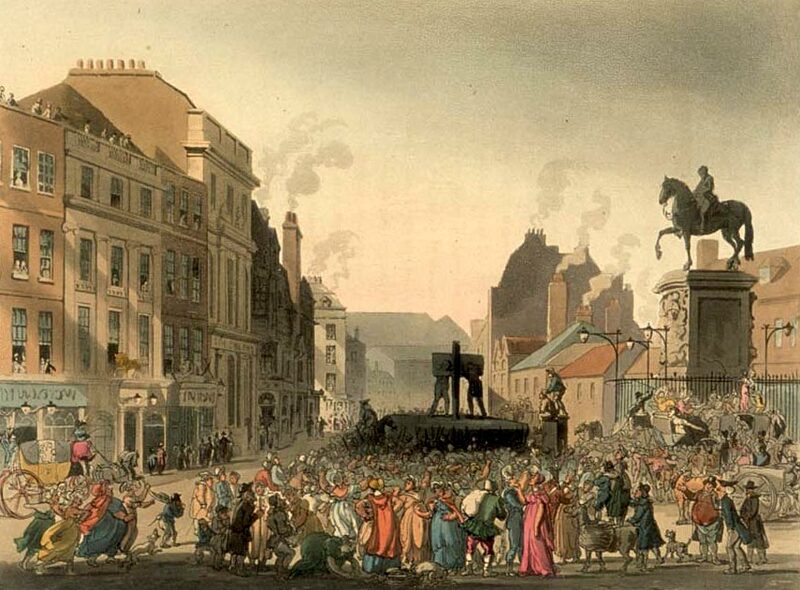 And the kind of facts historians work to document are not usually referred to as “scientific” ones – unless, of course, they are unearthed using some special techniques such as documentation of a past poisoning by chemical analysis of an exhumed body. Then so and so’s death by poisoning would rise (or fall) to the level of scientific fact. But a scientific fact is a fact, plain and simple. Unfortunately I think that for many, calling a fact a scientific one describes a phenomenon or cause and effect relationship not immediately accessible to all. It might be a truth uncovered with the help of some kind of complex sensing device that identifies things beyond our five senses – think electron microscope, pH meter, volt meter, x-ray telescope – things like that. But there are other kinds. Surely Gregor Mendel had no more fancy instruments than paper and a quill pen in his studies of pea genetics which revealed previously unrecognized ground-breaking facts. All he did was make multiple systematic observations in his monastery’s garden, carefully record and organize them and think logically about what he had observed. And then there are the kind of facts that emerge from varying specific conditions and observing the result. An example that comes to mind is mixing antibodies (the chemicals our bodies make to fight infection) with antigens (a substance – usually a protein – that is not one made by the same organism creating the antibodies). If one begins to add antibodies to a solution of antigen nothing happens initially. As more antibody is added a cloudy precipitate forms as the antibodies combine with the antigen and are no longer kept in solution,. But if still more antigen is added the precipitate re-dissolves. Discovering that kind of antigen-antibody binding relationship by systematically changing the mixing ratios was important in unravelling how immune systems work. What these examples have in common is that they reveal realities not immediately apparent to the casual bystander. Of course, when such findings appear for the first time on our intellectual radar they can cause trouble. Unfortunately, as the sensing devices become more complex, the observations more numerous and the logic of interpreting them more involved it becomes easier to reject the findings either because they fly in the face of previously held beliefs or they inconveniently threaten vested interests. In his eagerly anticipated annual lab session on chemical energy my 11th grade science teacher held a match under a hydrogen-filled balloon. The shock wave from the resulting explosion nearly blew his glasses off. The class applauded. Mr. Kilgour had made his point. Science was cool! A few weeks later he convened the class after dark one evening to watch the reflected light of Sputnik – the Soviet Union’s first-in-the-world satellite – as it orbited Earth. That clinched it. I was going to be a physicist. But college sophomore physics convinced me otherwise. Courses in Quantum Mechanics and Probability, Statistics and Random Error separated sheep from goats and I was definitely a goat. Struggling over those equations and laboring long into the night to solve the problems was humbling. I could get through most eventually, but for some of my classmates it came quite naturally. I passed, all right, though my colors were definitely at half mast and I did learn some important things. For one, those courses were usually accompanied by hands-on lab exercises where one learned how meticulously conditions had to be controlled to get consistent results. Those labs also made clear that one could prove the correctness of an idea by performing an action which depended on it. Like so many of his ideas, Galileo’s intuition that the gravitational force acting on an object was independent of the object’s mass was greeted with skepticism by many. Today an introductory physics lab can easily demonstrate its veracity by dropping a feather and a lead ball in a glass tube from which all the air has been evacuated and watching them hit the bottom at precisely the same time. The right action performed carefully under the right conditions turn a theory into a fact – one of many such facts that allowed mankind to walk on the moon and launch a rocket from earth to land a motorized vehicle on the surface of Mars! And one of the other things those science classes taught me was that science comes in many different flavors: be it combining or separating materials as in chemistry, measuring the way matter and energy interact as in physics, systematically observing life forms as in biology or combining these modalities as in biochemistry or physical chemistry. And most rewarding of all is when different methods of seeking truth converge, as they did when Mendel’s observations of pea characteristics fell into place with Watson and Crick’s biochemical unravelling of DNA’s double helix and the two fit elegantly with Darwin’s observations of natural selection – creating a set of harmonies as beautiful as Bach’s “B Minor Mass” or, if you prefer, The Beatle’s “Lucy in the Sky with Diamonds”. This convergence of different scientific disciplines on the same slice of reality from multiple different perspectives is what might be called “settled” science. Sadly, a recent poll in England found that 35% of the population felt that scientific findings are adjusted to give the answers a researcher wants and nearly as many think research is never, or only occasionally, checked by other scientists. The wrongness of these beliefs is clear to anyone who has submitted an article to an established peer reviewed scientific journal. The unblinking critique one gets back from the journal’s editors pointing out every possible weakness of the data and the conclusions drawn from them makes clear how very far off the mark those beliefs are! Similar survey information doesn’t seem to be available for the US but given our current political dialogue it is hard to believe the numbers would be any different. And these are polls from countries with highly educated populations! So let’s face it. All facts are bits of verifiable truth, plain and simple. To describe something as a scientific fact is a redundancy. It is a superfluity. It is a prolixitous pleonasm. It is longwinded logorrhea! It is like saying something is a cow cow or a chair chair to distinguish them some other kinds of cows or chairs. And what is most sinister, it frames the concept in a way which can imply a hierarchy of facts. In fact (sic), it paves the way for that most oxymoronic of oxymorons – the alternative fact!